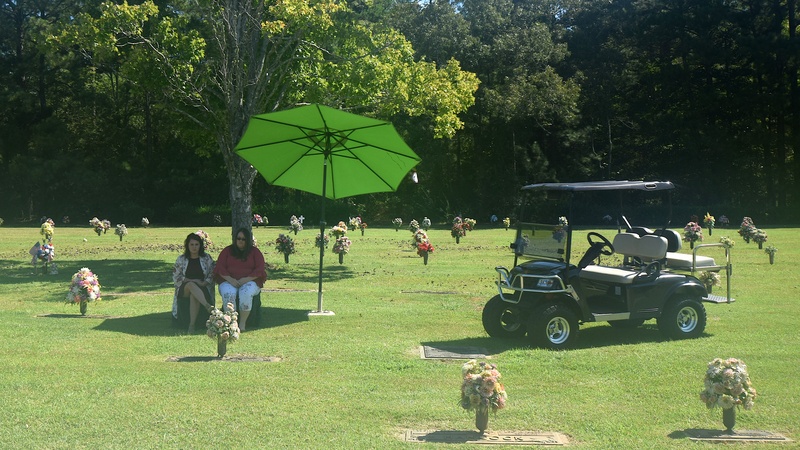 Greenwood's 1st and only Golf Cart Concierge Service for the Elderly & Disabled. We ask families to call two hours ahead to reserve a time, then we will set up the umbrella and chairs and transport you to and from your loved one's grave. Please call (864) 223-9229 two hours before expected arrival.